Here's the outcome of the co-funded call. 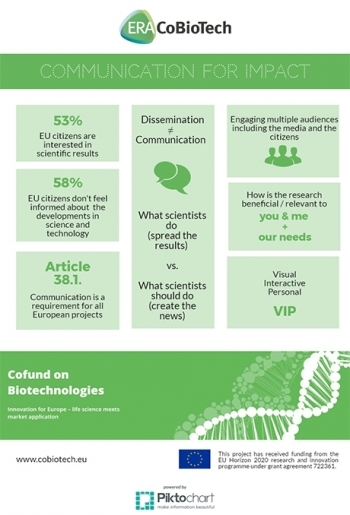 The success of your scientific career is not only dependent on your scientific excellence and the research area you are working in, it also needs engagement in communication. Registration is open for two ERA CoBioTech events! Two ERA CoBioTech events are coming up - register now! ERA, ERA-NET COFUND, H2020, … could you clarify, please?